Working with new wineries I am amazed at the amount of time and energy put into the label creative process. While I have written about the importance of being consistent and telling a unique story, time is a limited quantity and it is critical that the other marketing elements receive equal if not greater time than your label. Grumpy Marketing Guy Rule – For every man hour a new winery works on a label design, at LEAST two hours should be spent on other specific marketing objectives. When a new winery opens their doors, and for a substantial time thereafter, the vast majority of sales will be through the tasting room (also known as out the cellar room door). Wineries that understand this paradigm know that the only wines they will be competing with for attention on the shelf are their own. A first time label must be competent and include not only the federal mandates but also a few other marketing mandates. 1. Uniform Product Code (UPC) – While at first the new winery may not need the UPC for tracking sales and inventory, in the future they and others will. It is much better to plan for this in your label design now rather than having to add a UPC label to bottles after the need has been established. I once worked with a winery owner to bring a tanker of French Merlot to the United States and bottle it as a private label for a restaurant. I unsuccessfully advocated for the UPC on the bottle, he had to hand label over 200 cases after the restaurant failed to make sales objectives. 2. Web address – This seems to be commonplace but even 15 years after the internet took over the world I still find wineries not putting their web address on their labels. 4. Signature – People like to relate to people, I encourage wineries to allow their winemaker or owner’s signature appear on the label with some brief testimonial to wine making goals and objectives. Directions to the winery – I tend to believe the limited real estate on the label can be better used than directions. QR Codes – I believe the jury is still out on the use (or non use) of QR codes. If you like them use them but track if people are accessing your information from the codes. Numbering – I have done the sequential numbering process and it is easier today than ten years ago but unless you are producing a highly allocated wine, I think the meaning is lost on many consumers. Your label is a part of your business identity be proud of it but don’t over think it. 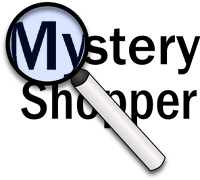 The term ‘Mystery Shopper” has been around for at least twenty years. The concept behind mystery shopping is rather simple; how do your employees (or you) honestly interact with customers. While there are companies that do mystery shopping for a fee, I have found some of the best mystery shoppers are friends of mine who are not known to the client or the client staff. Doesn’t the use of a mystery shopper mean you don’t trust your staff? No. Frankly when I have presented the results from the Mystery Shoppers staff are often horrified at the manner in which their actions were perceived. With the advancement of Facebook, Twitter and Yelp! having a consistent customer engagement strategy is critical. There are many individuals who will spend a great deal of time blogging about their experience in your establishment. These too are teaching moments; but I’d rather control the discussion with a mystery shopper program. How to build the shopper program — with your staff. No one likes surprises so go over the goals of your customer engagement program with the staff and see if they agree. If not, revise the metrics of the program. Were you greeted on arrival in the tasting room? 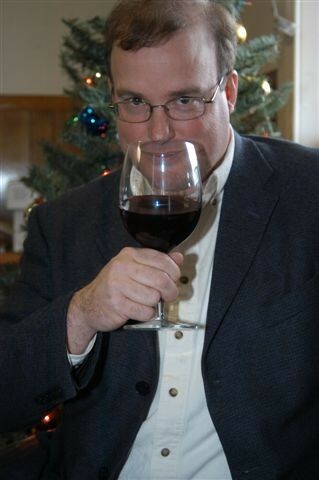 Were you informed of the tasting fee prior to tasting? During the tasting did the staff seem knowledgeable about the wines? Were you given time to taste each wine? Did the staff provide the history of the winery? Were you informed of upcoming events? Were you asked how you heard about the winery? Did the tasting staff seem interested in your wine journey? After tasting were you given the opportunity to retaste? Did the staff ask for your wine order? In preparing your wine order did the staff confirm with you the wines before placing in the case/box? Were you thanked for your purchase? Was your checkout handled efficiently? Was the tasting room busy? Was the tasting room adequately staffed? Overall how would you rate your visit (1-10 scale)? Once you and your staff determine the metrics to be used and you let them know you will be using a mystery shopper, you will see improvement in your customer engagement. I usually bring in the mystery shopper 2 weeks after the staff has signed off on the metrics. After the mystery shopper files their report (usually an e-mail with the questions above answered and other comments i.e. tasting room staff wearing low cut blouse, taking phone calls, kids running in tasting room, etc.) I take the results to the tasting room manager and discuss in a morning meeting and then chat with all the associates over lunch. This team methodology allows the manager to have an opportunity to determine how to best use the information to generate better customer engagement. Usually better customer engagement results in increased sales. And really isn’t that what marketing is all about.